This 2019 course meets the California Department of Business Oversight state-specific requirement for MLO annual license renewal through the NMLS. There are three important pieces of California legislation that those who are licensed with the California Department of Business Oversight (DBO) must be familiar with. The DBO requires licensees who are renewing their DBO licenses to review the California Financing Law (CFL), the California Residential Mortgage Lending Act (CRMLA), and the California Homeowner Bill of Rights (HBOR). This 2019 course will cover each of the three legislations, starting with the California Financing Law. This module of the course will review the licensing requirements for a finance lender, the expected conduct of those who hold these licenses, the limitations on interest rates, and the investigative powers of the Commissioner of the DBO. The second module will review the California Residential Mortgage Lending Act. This module will outline the conduct required to maintain a license, the surety bonding and net worth requirements, prohibited fees and owner actions, and how the Commissioner can cite licensees who don't follow the law. The third module will highlight the California Homeowner Bill of Rights, a law passed in 2013 to give some protection to homeowners who are facing foreclosure of their residential property. This law outlines seven provisions covering dual tracking, robo signing, single points of contact, and more. Define who is a finance lender, and the information that finance lenders are required to disclose to their borrowers. Understand how the Commissioner of the Department of Business Oversight (DBO) investigates finance lenders, and the penalties that can come from discovered violations. Outline the conduct expectations of those who are licensed to originate or offer residential mortgage loans. Generalize the bonding and net worth requirements for licensees. Recognize the many prohibited acts relating to licensee conduct. Identify the investigative proceedings and potential penalties that can arise from violations of the California Residential Mortgage Licensing Act. Describe the important points of the California Homeowner Bill of Rights relating to dual tracking, single points of contact, and rental tenant rights. Understand how homeowners and the California Attorney General's office can enforce the HBOR. 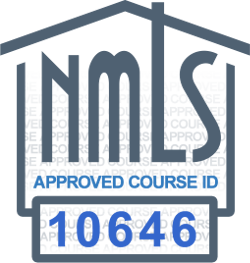 You must have an NMLS ID to receive credit for this course. You will need this number before you begin the course.